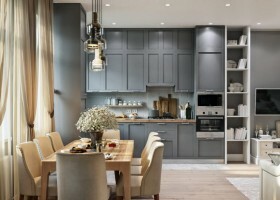 Can notes of English style be brought into an apartment in the heart of Moscow? Sure! 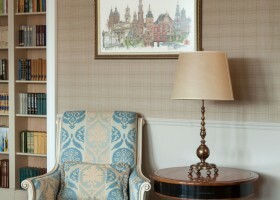 The flat we’d like to show you today we’ll surely inspire you with its mood of perfect elegance and evergreen classics. It turns out that plenty of wood and a quiet color palette can work miracles and create contemporary-style interiors that would never look dull. This three-room apartment is a great proof to this fact. Let’s have a look!